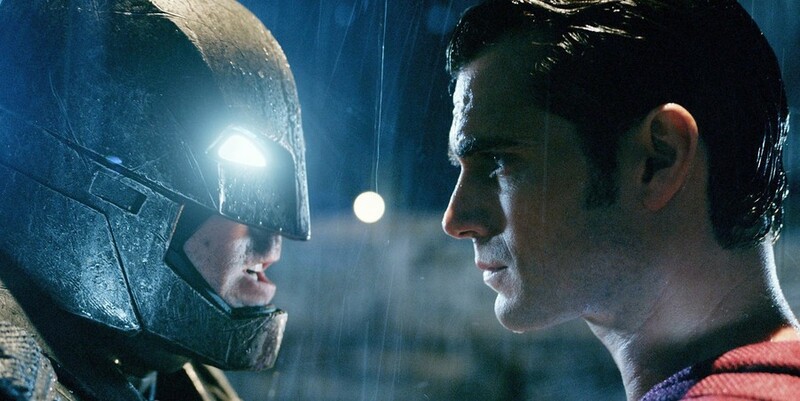 Batman (Ben Affleck) and Superman (Henry Cavill) face off in Zack Snyder’s mind-numbingly action-packed blockbuster, leaving Metropolis in ruins—again. Superhero films are for regular people—like, the ones who don’t write movie reviews. At least, that’s what Zack Snyder’s Batman v Superman: Dawn of Justice seems to count on. The film opened to a weekend box office of $169.2 million, despite heavily publicized jeers from critics. Moviegoers hankering for the next monster mash of classic comic book characters will be satisfied simply by the concept. But look much deeper than that and the film goes sour. Like Clark Kent’s famously lame Warby Parker disguise, suspending all disbelief is key to enjoying the facade—but the slightest critical eye snaps this film’s illusion in two. Our story begins with a forced, magical origin for the Caped Crusader (Ben Affleck). Batman’s typical narrative ingredients are all there—dead parents and a fall down the rabbit/bat hole—but from the get–go, there’s an emphasis on surreal camera work and post-production, in what seems to be an attempt to enhance already-significant origin scenes. The focus on gaudy theatricality over concrete storytelling is clear. A trip back in time to the city-crumbling action that took place in Snyder’s previous film, Man of Steel, reminds us that heavy-handed drama is a staple for the director. The scene is shown from the eyes of a distressed Bruce Wayne on the ground, rather than through the perspective of the warring Man of Steel himself (Henry Cavill). There are apparently consequences to an overindulgent fistfight; the major conflict in this film stems from anger toward Superman for the deadly events in Man of Steel. Affleck proves his worth, playing Batman with a near-perfect, grumpy hatred. Whether or not Snyder intended for Batman’s disgust with destruction to reflect the criticisms that followed Man of Steel, the parallel seems obvious. But despite the character’s opposition to ruin, his lawless Batman seems to cause a lot of it in the film. A totally confusing sequence midway into the plot finds Bruce Wayne tinkering in his lab when he suddenly begins to imagine an elaborate post-apocalyptic world in which he fights Superman. Whether this alludes to future events or is simply a dream sequence, the film provides little context and subsequently forgets the scene ever happened. This sequence, and other scenes in which Batman crusades against Superman haphazardly, signal a rupture in character and equally haphazard execution of story. The conflict of the film hinges on Batman (and the rest of the world), who believes Superman is too dangerous to go unchecked. While Lex Luthor (Jesse Eisenberg) puts all of his jittery brainpower toward making it seem as though Superman is the villain, it’s a stretch to believe his audience is convinced. Engaging in further danger and violence to oppose the Man of Steel would seem beyond these characters. But the answer to danger seems to be more danger, just as the answer to critiques of a certain prequel’s action sequence seems to be more action. The highlights of the film are the moments of guilty pleasure when the story can be ignored. While Wonder Woman (Gal Gadot) seems simply thrown in just so she can start her own franchise in a year or so, the distraction is welcomed. If you enjoy blockbuster special effects and want a high-budget showdown, the film is perfect. Its thrilling premise is just enough to rack up millions at the box office and media buzz galore. But look too closely, or try to unmask the hero, and the film loses all its wonder.